I'm still sorting through hundreds of photos from the New York City blizzard two weeks ago. 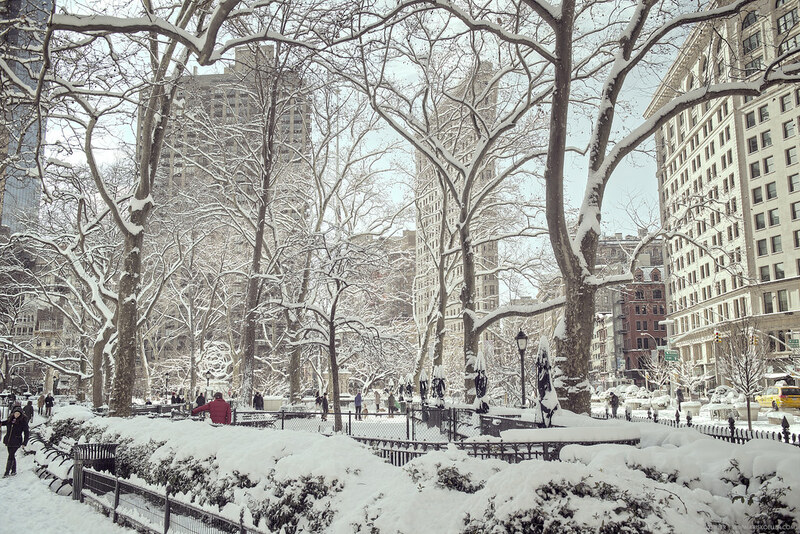 This shot overlooks the dog run in Madison Square Park facing south toward the Flatiron Building. The sun had just come out, hours before turning the whole scene into a mushy mess.